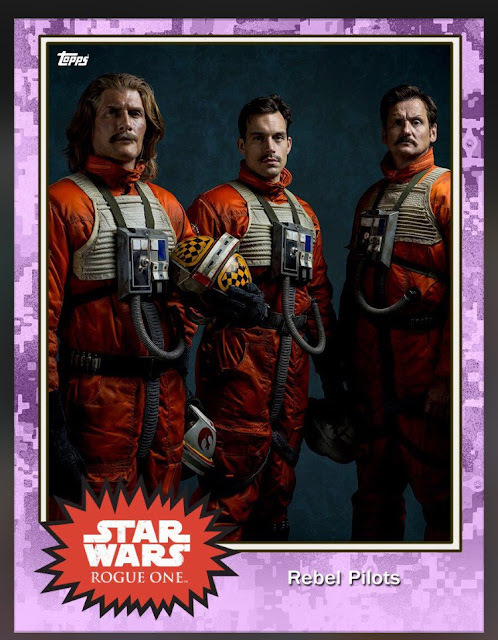 Entertainment Weekly's Anthony Breznican has proven himself to be an incredible source of information regarding upcoming Star Wars films over the past few years. 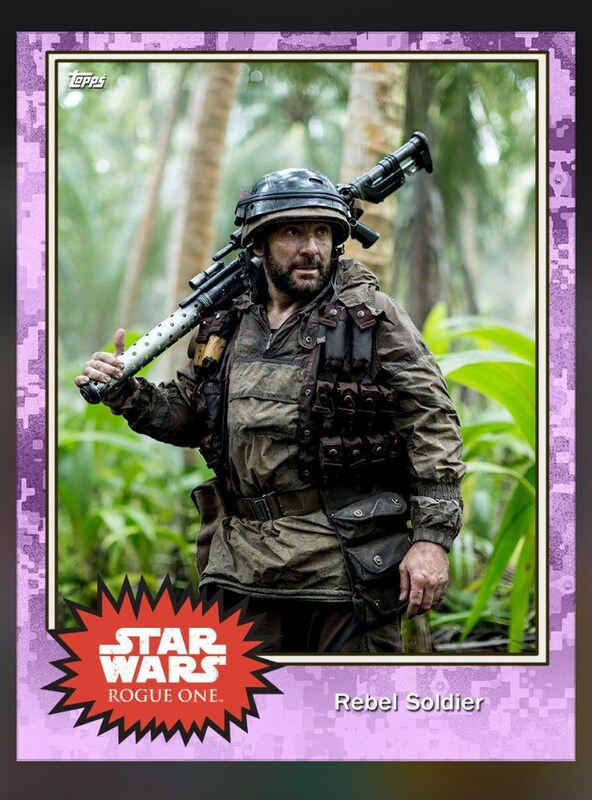 Today, Breznican dropped yet another wealth of reveals from Rogue One: A Star Wars Story that has given us our first look at several new characters from the film. 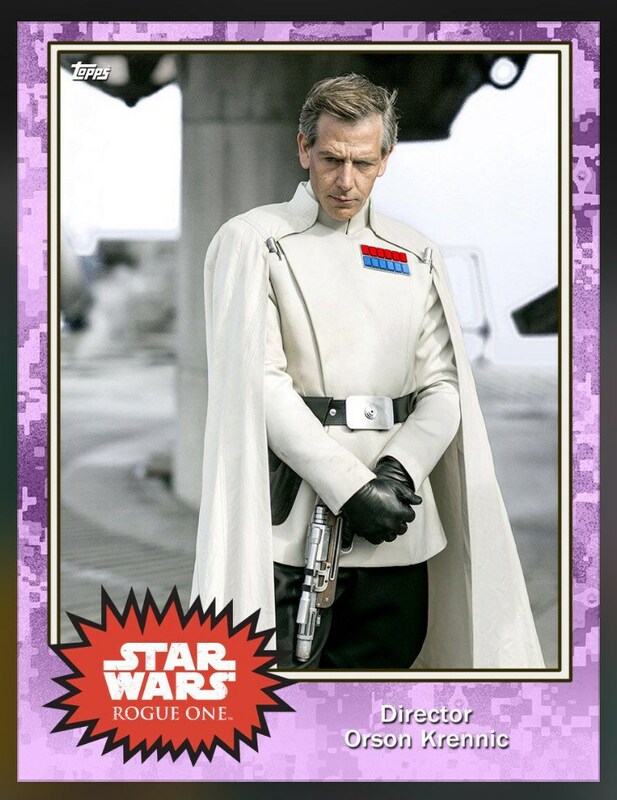 These announcements have come in the shape of Topps trading cards. A gallery of cards was unveiled on Entertainment Weekly, all of which you can see below! 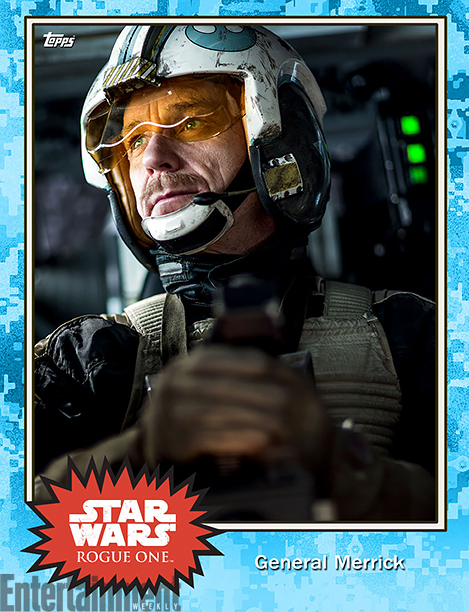 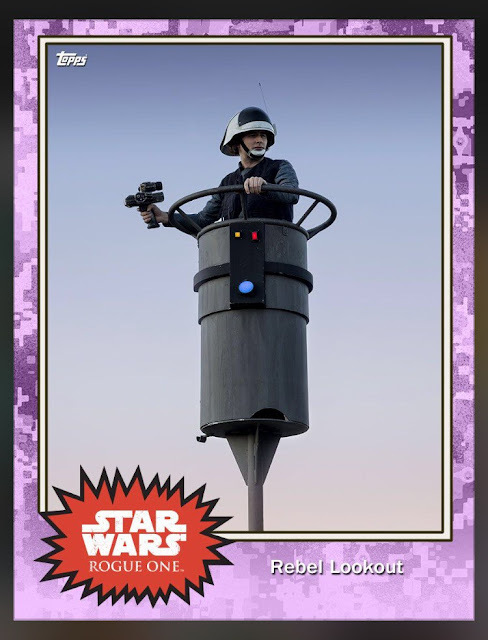 The first two cards feature a duo of Rebel pilots; an unnamed female pilot and General Merrick, who we previously saw having a laugh in the Star Wars Celebration Europe behind the scenes reel. 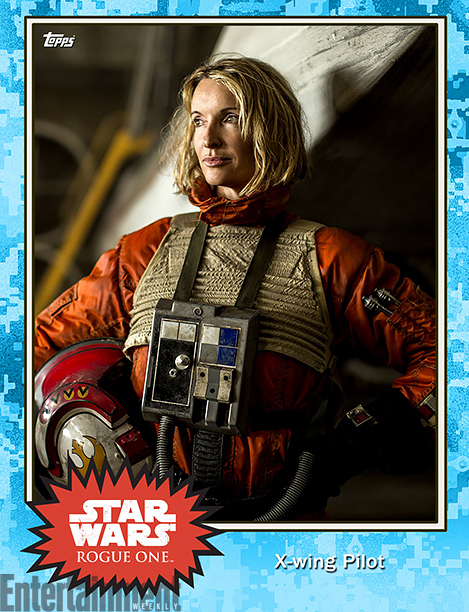 The only other detail we know about the female pilot is that the V symbols on her helmet are kill counts, each worth 20 kills. 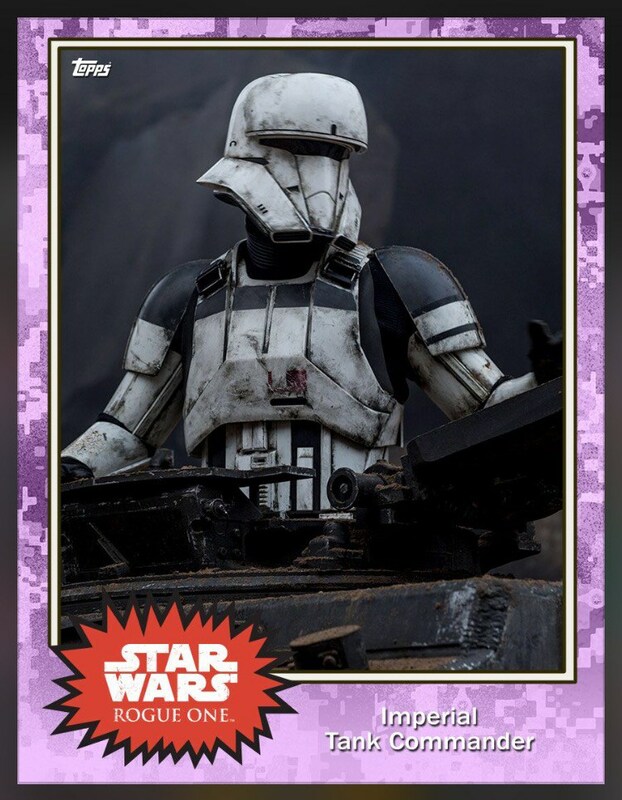 Next we have a card for Moroff, who Breznican describes as a mercenary who "likes trouble" and requires a respirator to breath. 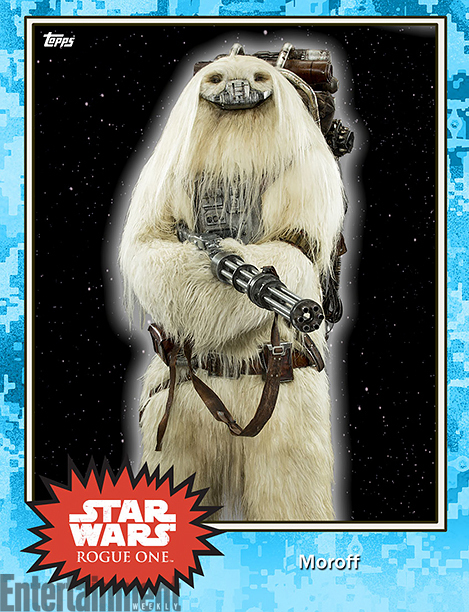 He's also confirmed to be a Gigoran, which is a species that was previously established in Star Wars Legends lore. 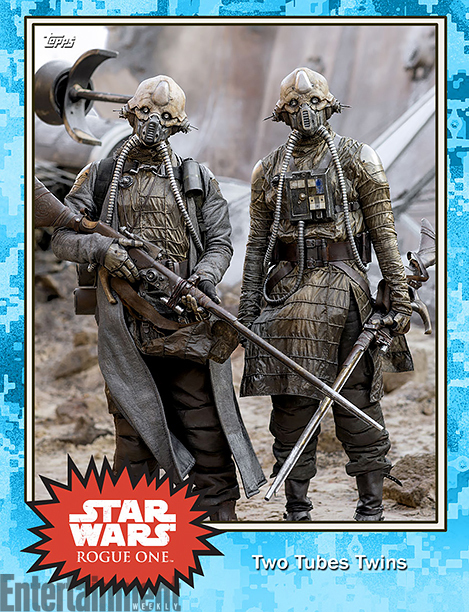 Additionally, we get our first look at a pair of Mon Calamari rebels, a new look at Edrio Two Tubes and his Egg Mate Benthic, and a card featuring some intriguingly costumed Jedha pilgrims. 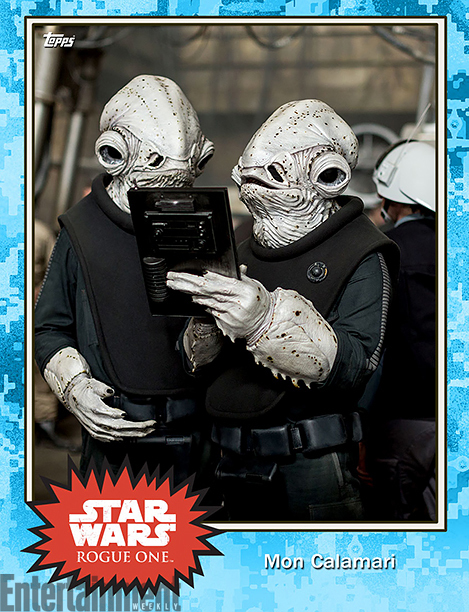 You can see and read more over at EW. 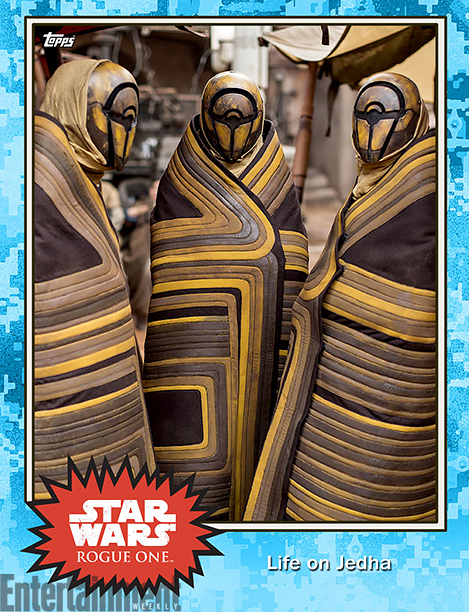 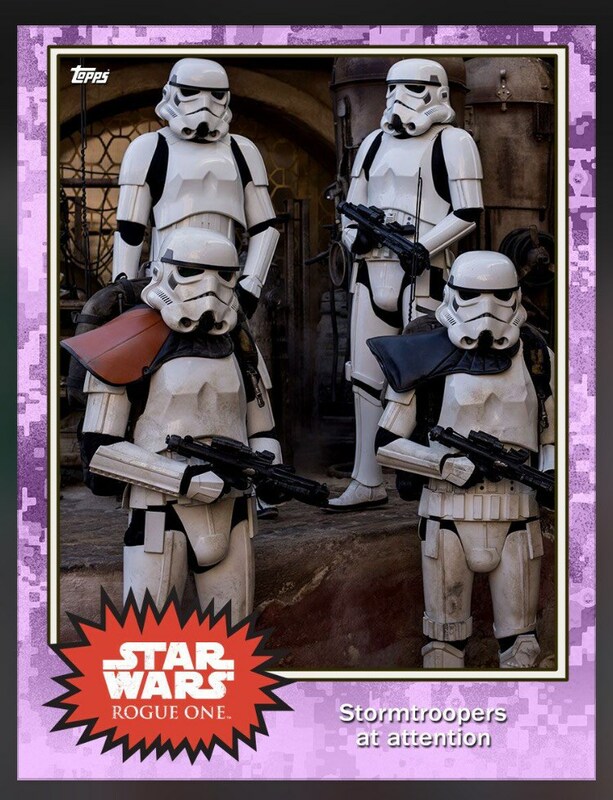 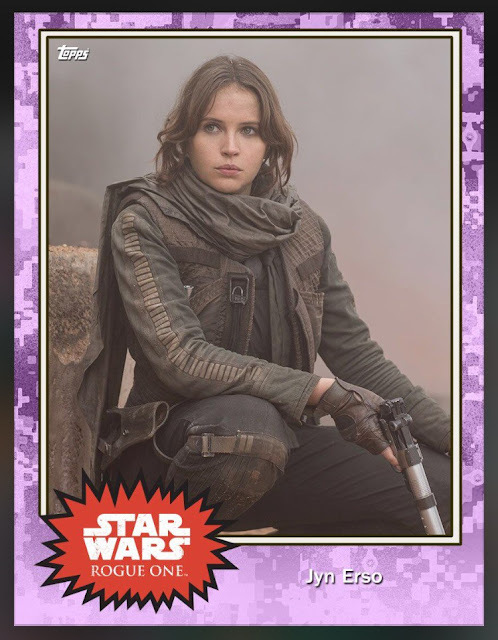 In addition, our friends at Making Star Wars got their hands on at least twenty more cards from the Topps Star Wars Card Trader that feature never before seen imagery and characters. 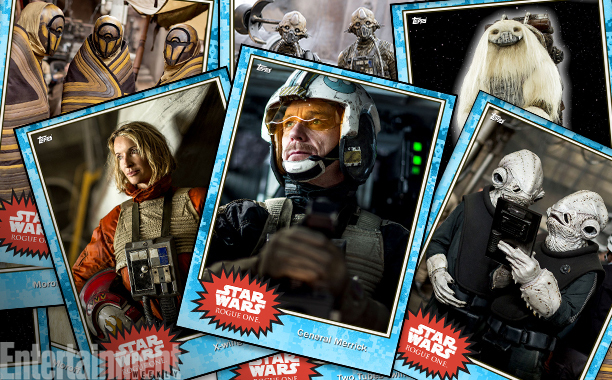 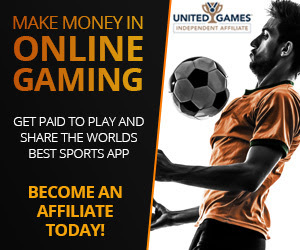 You can see several of them below, and the rest by clicking here!